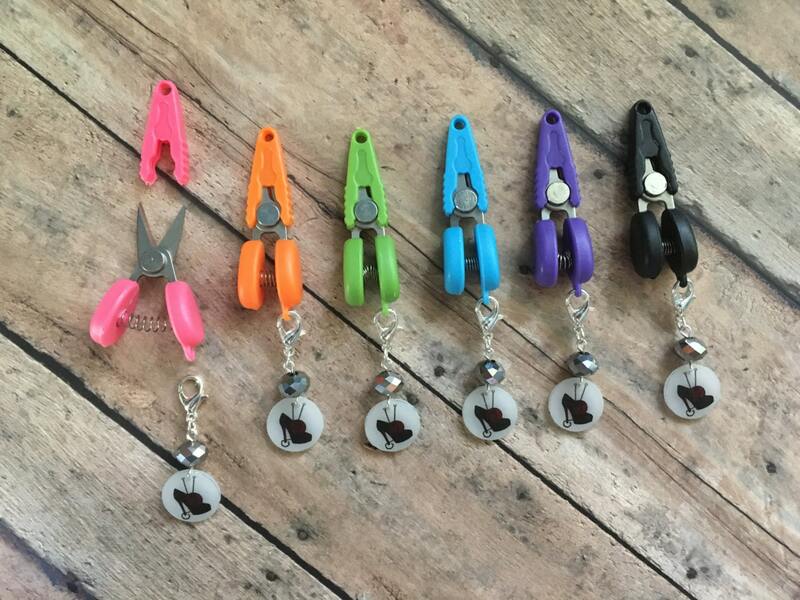 Tiny scissors with a removable stitch marker! Two tools in one, these come with a hand beaded stitch marker featuring my popular logo, which has been wired onto a lobster clasp. 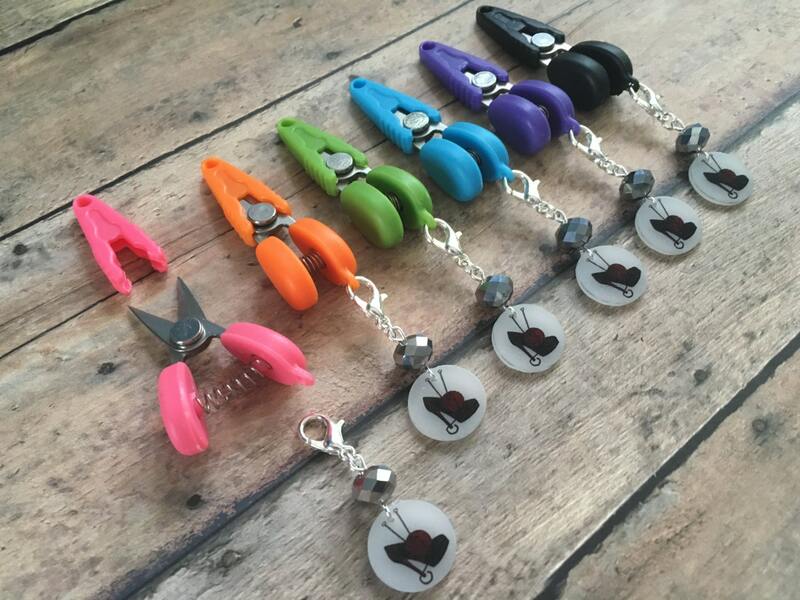 Simply unhook it from the bottom of your scissors, and pop it right onto your knitting! 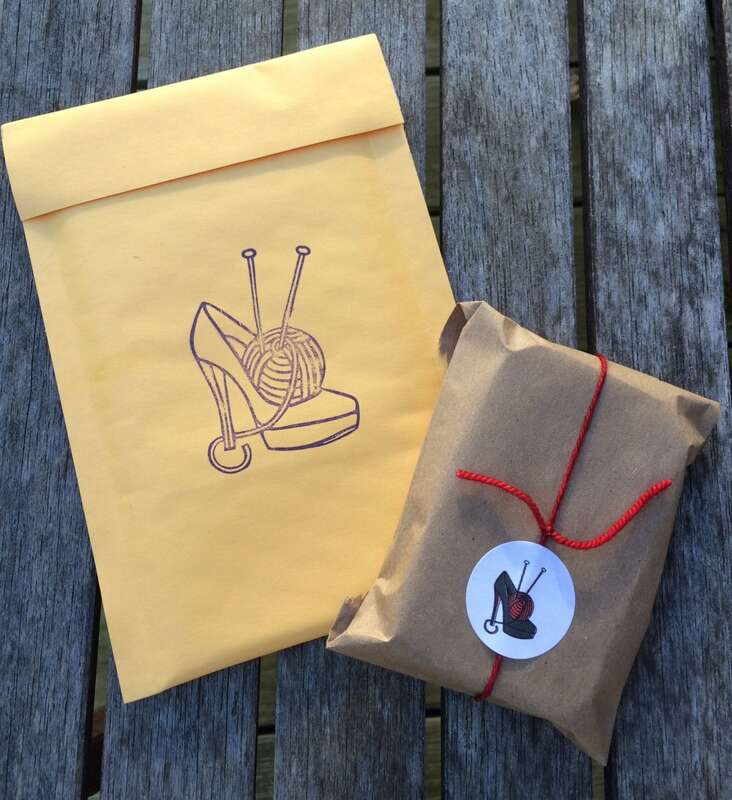 These scissors were custom made for my shop, and are so sharp they'll cut through any yarn you throw at them in one clean cut, including extra bulky. They can even cut through cardstock! The removable cap and spring action makes them very easy to use, and they fit in my Tool Tins just perfectly. 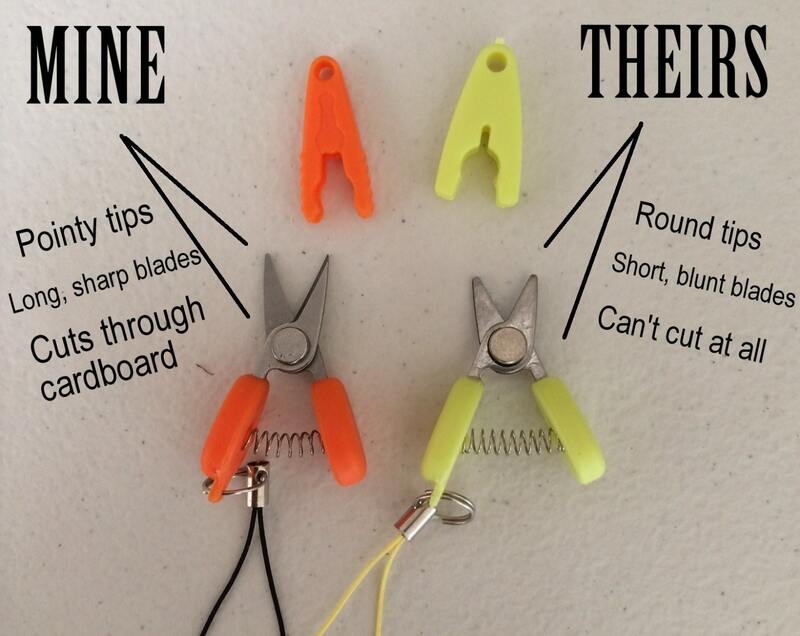 You won't find these anywhere else - compare the tips and you'll see that my custom snips are razor sharp!